May-December Publications’ Wake the Witch anthology, which contains my long out-of-print short story “Whether Girl” and benefits the Red Cross, is now available in both print (paperback) and Kindle editions. “Whether Girl” was originally published in the Summer 2005 issue of The Wheel. “Prepare to have a spell cast over you by this collection of bewitching tales; each one cast out by well-trained sorcerer or sorceress with a heart of gold. These charms and incantations were offered gratis as a spell of protection and assistance for people around the world suffering from tragedy and heartbreak. By reading this tome, you will be helping a stranger, a neighbor, or perhaps even yourself. “May December Publications is proud to present to you this little anthology of witch-themed stories. It should be noted that everything you are holding was donated by the artists. None of the contributors to this anthology received so much as a contributor’s copy for the work included in these pages. The reason is simple: we want every penny of proceeds to go to the Red Cross. 2011 was a year many would like to forget. From devastating floods, tornadoes, and earthquakes, to a tsunami that caused a nuclear event that will have lingering effects on the people of Japan. It seems that every year there are terrible events in the news that kill and displace thousands. The sad truth is that the public consciousness only lasts for the few days that the images are on their television screens. Yet, for the victims of disaster, the story continues long after the cameras pack up and head for the next “event”. To that end, May December Publications wants to offer the proceeds from this anthology to the Red Cross in quarterly checks in the name of all who contributed. It may not be much, but as the saying goes, every little bit helps. I urge you all to remember that the need for your help does not end simply because nobody is talking about the problem. Thank you for purchasing this book. You have unwittingly (or maybe wittingly) helped a person in need. 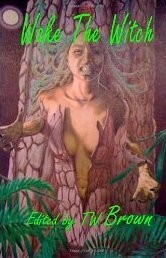 Posted on February 15, 2012, in News, Short Stories and tagged May December Publications, Pagan short stories, Red Cross donations, Wake the Witch anthology. Bookmark the permalink. 2 Comments.